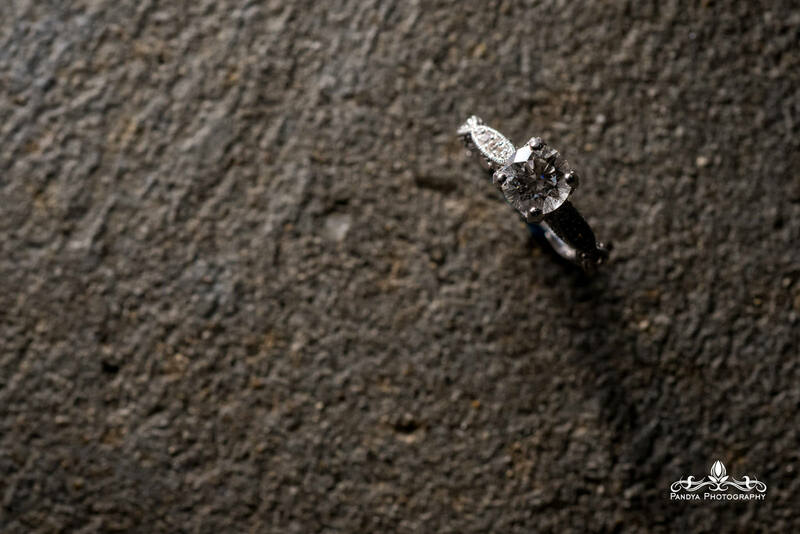 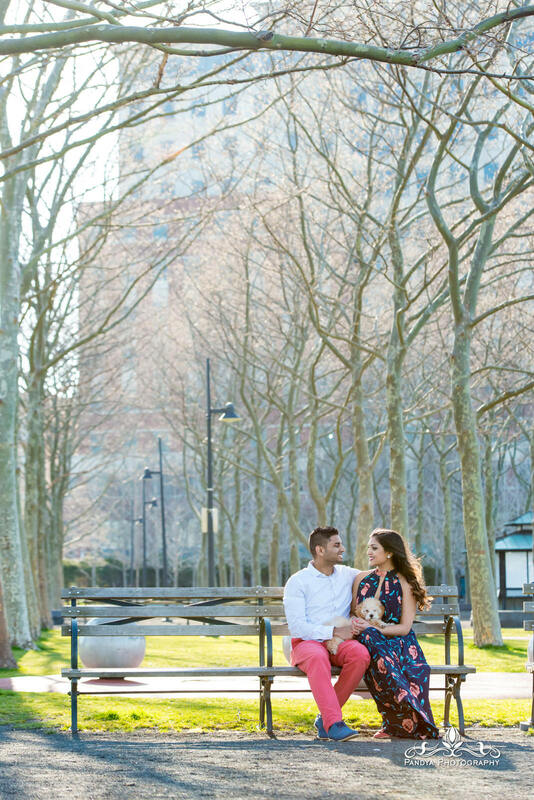 Hoboken has to be my favorite place for engagement shoots. 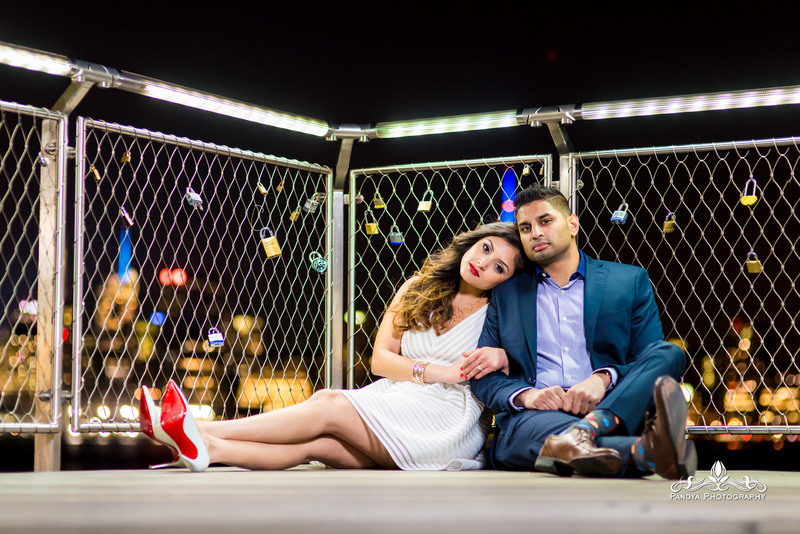 I been doing shoots there for more than 10 years, am constantly finding new nooks and angles for creative photos. 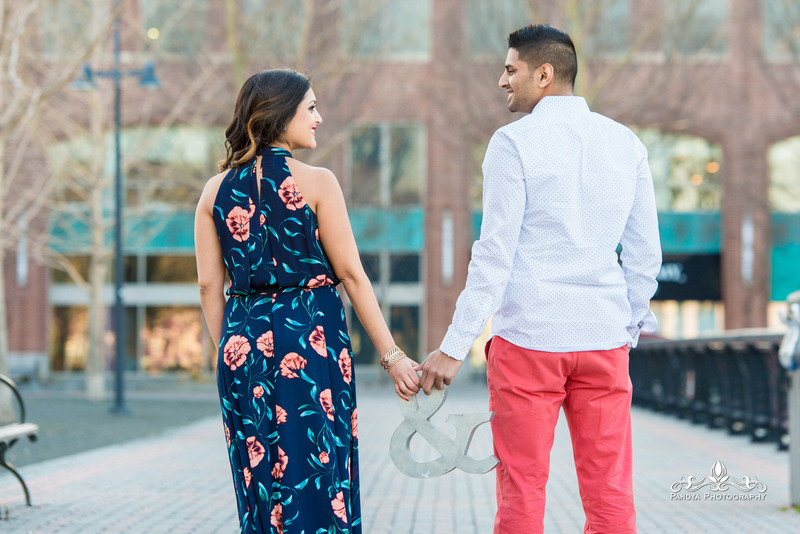 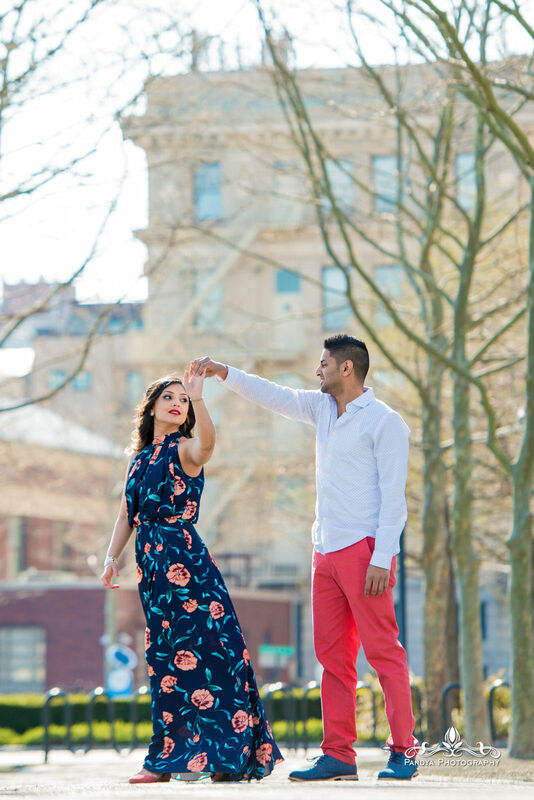 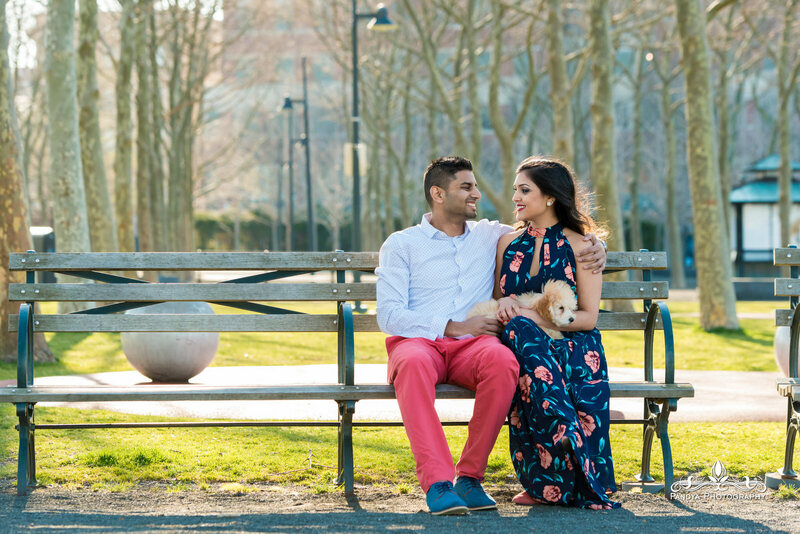 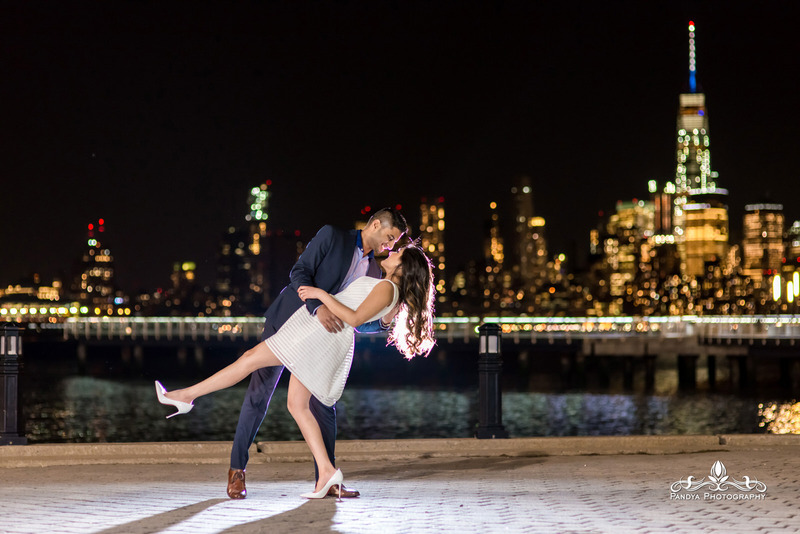 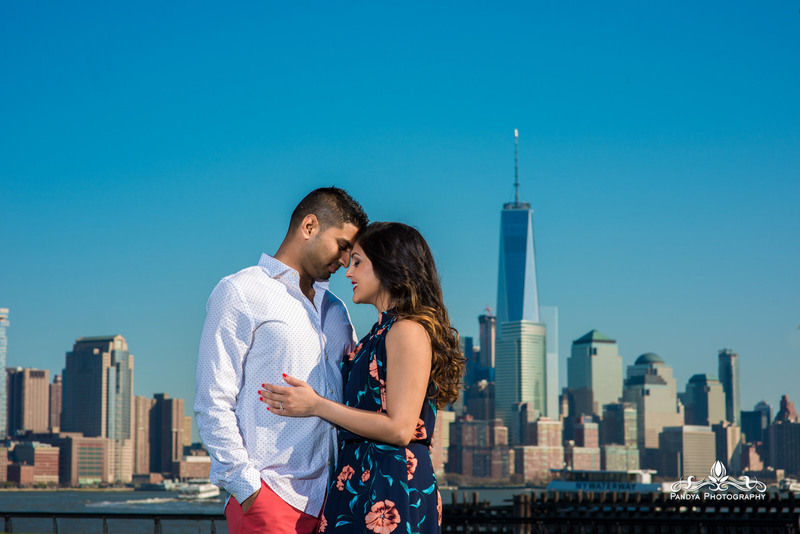 When Chandni and Darshan reached out to me for their photos, I knew Hoboken was the right spot for their session. 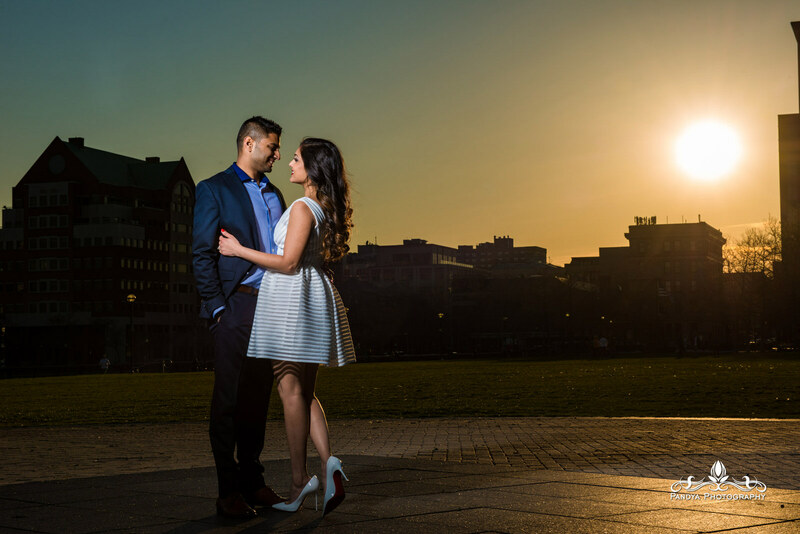 With the destination wedding in Mexico coming up, we had limited time and got super lucky with the weather. 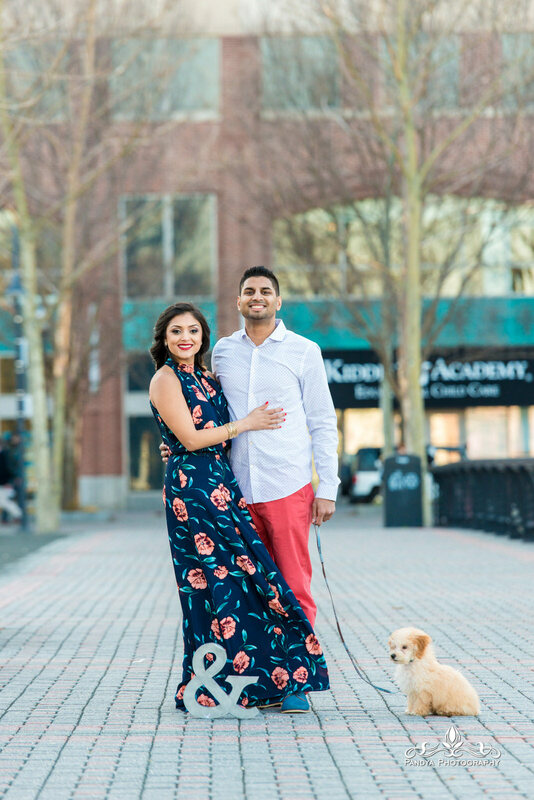 We were joined by Miles, their adorable puppy who got cold after a few pictures and ended up sleeping under a blanket for the rest of the shoot.